What we believe: the musicians are the priority! From beginner musicians to international touring artists, Funkadelic Studios has committed to serving musicians for 25 years! In 1993, Thomas and John, two musician friends from Brooklyn, started the studio as a way to connect NYC musicians and provide an optimum space to create. More than two decades later, that legacy continues under the direction of Dawn Orlando. Funkadelic Studios prides itself on having everything a musician needs to continuously advance their career, regardless of where a musician is in their creative journey. This obligation of service to the artistic community in New York is what gravitates many musicians to Funkadelic Studios. Beyond rehearsal and recording, Funkadelic provides other great features to benefit the career musician. It’s a one stop shop offering discounts for teaching sessions, open mic nights, weekly jam sessions, affordable event space, and internship opportunities. Equipment repairs, gear rental and gear storage are a few more of the services we provide! Here at Funkadelic, we understand what music is really about: a feeling, a groove, a dream, and most importantly, the people who create them. And you can feel it when you walk in. The same love of music that propelled two friends from Brooklyn to open a rehearsal studio in Manhattan has kept that studio open for 25 years. Now a staple of the New York underground music scene, Funkadelic Studios proves its dedication to fostering career musicians by supplying quality service, competitive prices, and a warm atmosphere making it easy to network with other creatives. 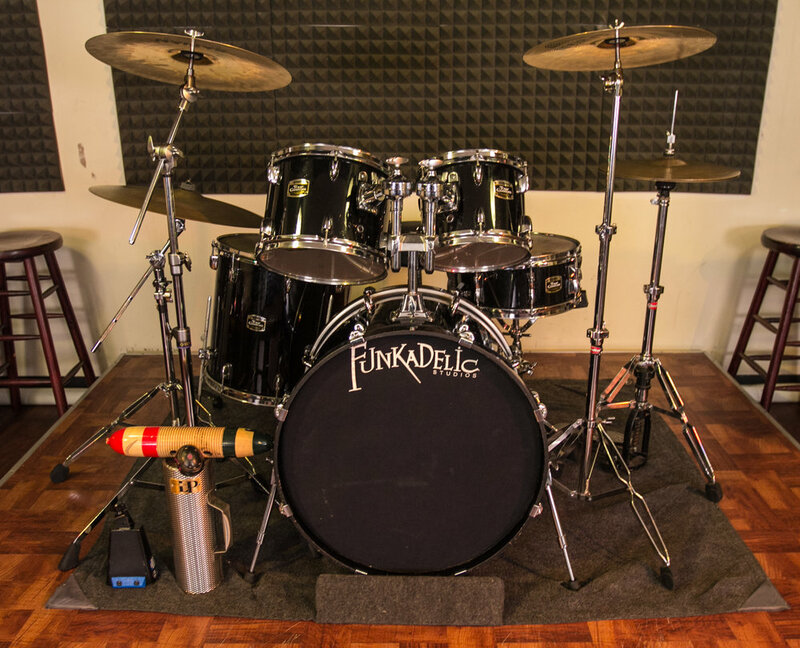 Funkadelic offers exactly what each musician needs under one roof, regardless of what level they are in their career: rehearsal rooms, recording studio, repair shop, rentals, retail shop, and rock venue!